Georgios Banos was born in July 1999 in Athens. He began his violin studies at the age of 6 with the Professors Nadia Sarandithou, Dim. Semsis and Vas. Pappas. 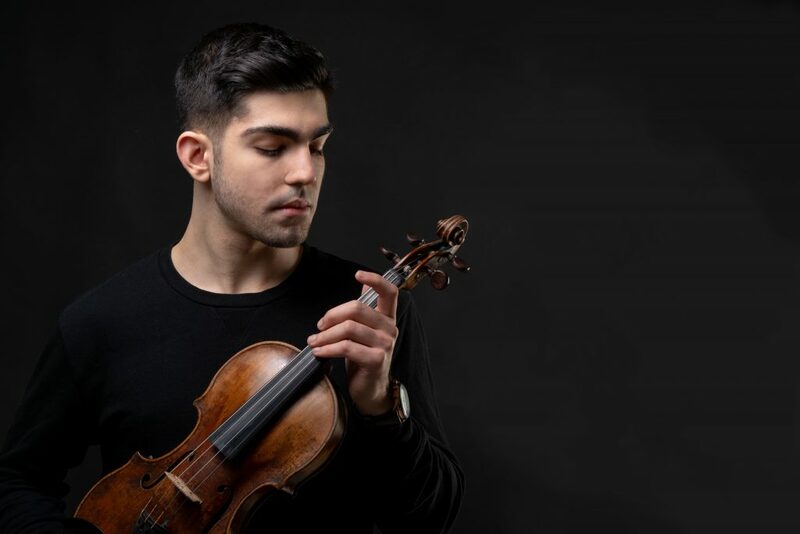 From September 2014 until July 2015, he studied in Innsbruck Landeskonservatorium, in Prof. Christos Kanettis’s class and since September 2015 he has been attending the violin class of Prof. Lucia Hall, in Johann Sebastian Bach Musikschule in Vienna. In February 2018, he was accepted at the Music and Arts University in Vienna (MUK Universität). Georgios is prize winner of numerous national and international competitions: the first prize and special distinction at the Greek National Competition “FILON” in the intermediate level category and scholarship in Athens’ Megaron program (2009), he performed first movement of Haydn Concerto in D minor in Athens Megaron, with Orchestra of Colours, director Miltos Logiadis (2010), the first prize at the National Competition “FILON” in the advanced level category (2013); the special first prize in the 5th National Competition “Maria Chairogiorgou-Sigara”, Athens (2014), Students’ Grant, Andrea Postacchini International Violin Competition, Fermo, Italy (2016), the first prize and special distinction ”Bundessieger” and EMCY Prize at Österreichische Jugendmusikwettbewerbe Prima la Musica (Category IV plus) in 2018. If you are interested in working with Georgios, please get in touch with the EMCY Office.